Moving to New York requires a certain amount of grit, determination, and willingness to hustle. It also really, really helps if you know what the heck you’re doing. Enter these 28 apps and services. From insider recs on coziest coffeeshops, to allergy prescriptions shipped to your door, consider them your personal entourage. They’ll keep you fed, fresh, and looking fly. Most importantly, they’ll keep the hustle going right in your back pocket. NYC winter advice: Avoid grocery stores right before a blizzard is about to hit. Instead, use a food delivery app like FoodKick. 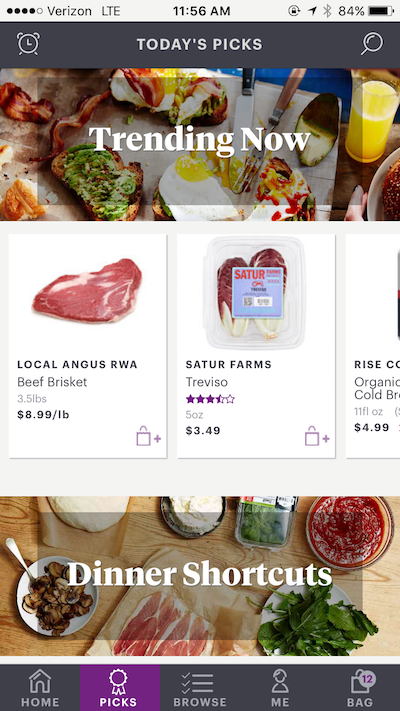 This young, hip incarnation of FreshDirect makes a point of highlighting local and in-season fare. Their recommendations make meal planning easy — whether you’re facing a veritable Snowmageddon, or just too wiped to go anywhere but your option-less bodega. In the city that never sleeps, you’re gonna need a lot of caffeine. 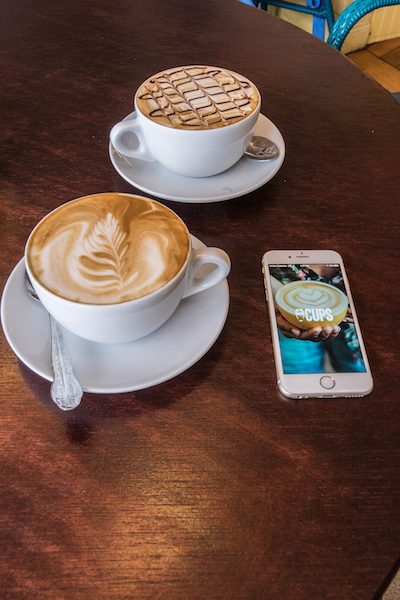 Enter Cups, an app that allows you to discover and save $$$ in your local coffee shops. Users pay a small monthly fee, and get 15% off when patronizing participating spots. In NYC, practically everyone’s famous — including the dogs. Pamper your pooch like the prince he is with a subscription to Ollie. You enter your dog’s details, your address, and boom: Customized, healthy Fido fare delivered straight to your door. Post that brunch on the ‘gram, and watch the likes start pouring in. There are upwards of 24,000 restaurants in NYC. 24,001 if you include your kitchenette and customized boxes from Plated. According to Time, Plated is the best meal kit currently available on the market. It’s the perfect recipe for a nice, home-cooked meal. Minimal schlepping, maximal results. Some days, you’re feeling creative enough to whip up a dinner masterpiece entirely from scratch. Other days, you feel like watching others do that — preferably on The Cooking Channel, while you’re curled up on the couch with some piping hot paneer. 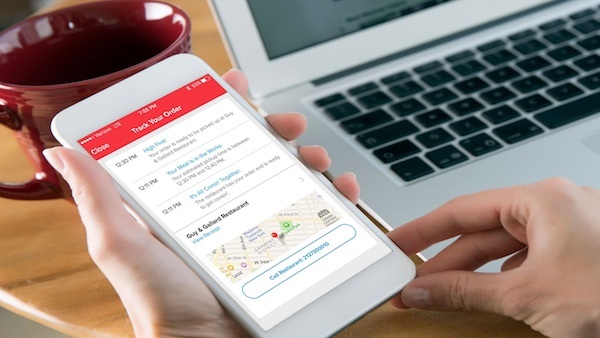 For those lazy latter days, you’re gonna want Seamless on speed dial. One of the pitfalls of busy city life is that it’s so, well, busy. Free time is often an exhilarating cram of museum hopping, live shows, and restaurant pop-ups. So when it comes to activities that entail group socializing, it’s often up to fate, right? Meet Doodle, the answer to your “So… when’s a good time for everybody?” prayers. 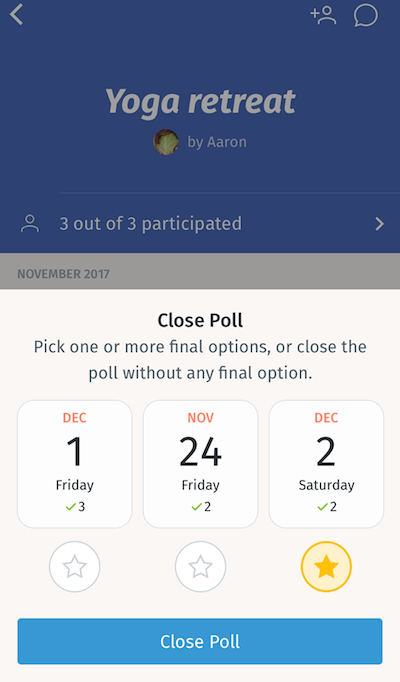 Gone are the back-and-forth days of group texts, here to stay are Doodle polls with multiple options for dates, locations, and even calendar integration. For the 1%, there’s a live-in butler. For the 99%, and Batman, there’s Alfred. Up to twice a week, a carefully-vetted Alfred will swing by your Batcave to complete your chores and errands while you save Gotham. 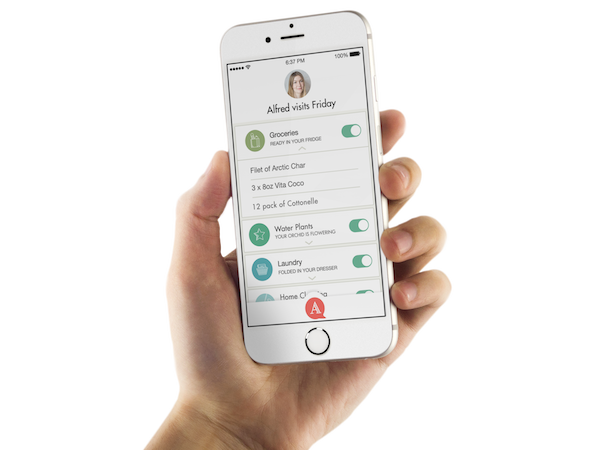 Alfred will sort your mail, tidy up your apartment, do your grocery shopping, stock your fridge, and pick up and drop off your dry cleaning, laundry, and pharmacy items. Welcome to your home, but better. New Yorkers tend to avoid Times Square like it’s a tourist-ridden plague. Instead, they use TodayTix, which sells last-minute tickets (plus, tickets for select shows up to several months in advance) with minimal fuss. No more waiting in line while being elbowed by cartoon characters in costumes or selfie-stick wielding tourists. 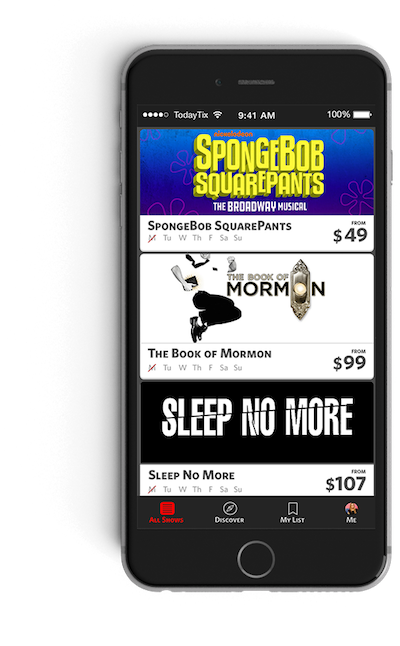 Enroll in TodayTix’s daily mobile Lottery to snag reduced-priced seats, or test out their first-ever mobile Rush ticket program. The best part? Tickets are generally cheaper than other, widely-advertised prices. So you can see amazing shows and make rent this month. No matter how busy and important you may be, it’s never cool to cut in line. Skipping the line altogether, however, is a very different story. 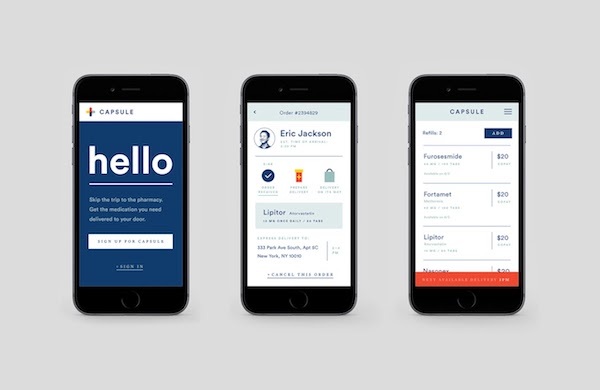 That’s why Capsule — a smart and friendly pharmacy that will deliver your meds directly to you, and take care of your refills — launched in all five boroughs. Signing up is simple: Your doc e-prescribes to Capsule, or you transfer your refills using an online form. Then boom: Your prescription is delivered to you within a two-hour window. With great moves come great headaches. Not least of which comes in the shape of assembling furniture. You know, the furniture that’s still sleeping soundly in an unopened box. In the middle of your new living room. On wine-stained carpet. A Tasker can take care of that for you. 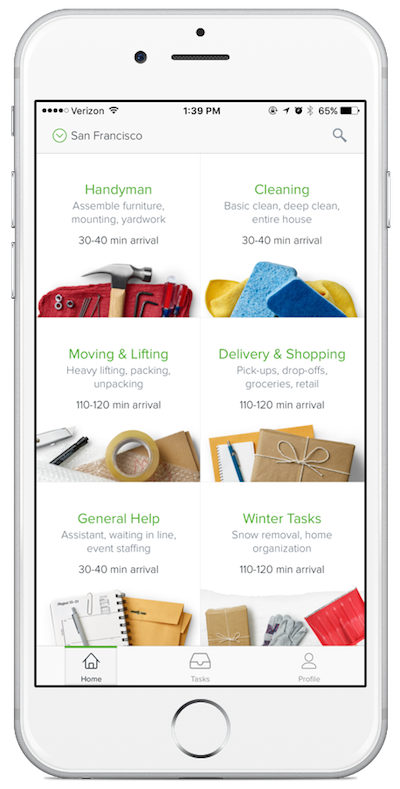 Fully vetted by TaskRabbit and reviewed by other customers, Taskers obliterate your to-do list by taking care of pretty much anything you can imagine. So you can partake in every New Yorker’s favorite weekend activity instead: Brunch. They say you’ve got it made in New York when you have a washer and dryer in unit. Until then, there’s on-demand laundry. Sure, you could spend your Saturday afternoon separating colors from white in your local laundromat. But why waste your precious spare time when NextCleaners will pick up your dirty laundry, clean it with the gentlest solution on the market, and return it practically brand new right back to you? Your pup is family. Swifto knows that, and will treat him accordingly. 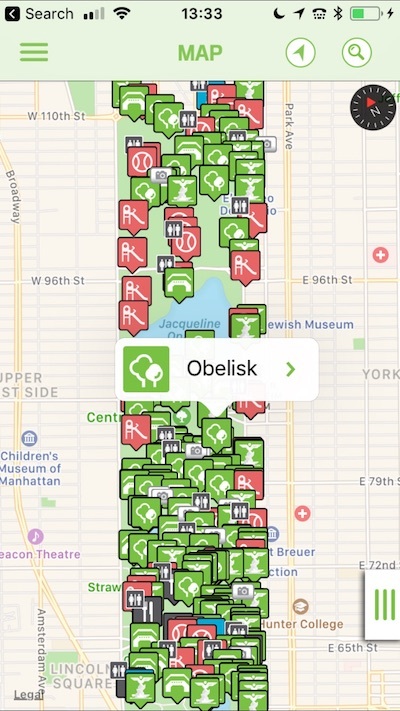 The NYC-local startup puts you in direct contact with a vetted walker. You get real-time updates, can track the walk via the app, and get a post-walk pup pic every single time. Their average ruff-view? Two paws up! Whatever you’re in the mood for, TONY has an expert rec for where to do it. Feel like catching a flick? They have all the latest releases, with reviews and nearby showtimes. Or maybe you want to get artsy with an exhibit. They have details, dates, and the down-low on which galleries are currently popping. Or if you’re not sure what exactly you want to do, they have a whole list of suggestions under their “Things to Do” tab. Recent picks include cooking classes, speakeasy burlesque, and a thought-provoking lecture from a NYC-based family therapist. There’s Yelp, and then there’s Cool Cousin. 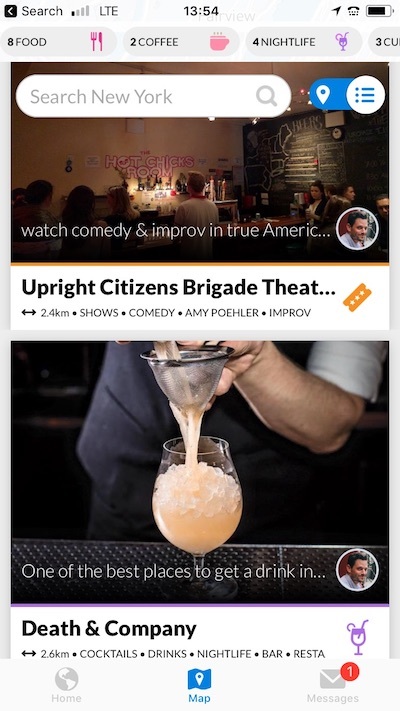 Both offer honest reviews of what’s happening in your immediate surroundings. But only CC curates from a collection of in-the-know locals. Whether you’re looking for a cute cafe to get your freelancing on or need to pick up some babka for your trip home, CC knows where it’s at. And who knows? Maybe after you’ve officially made it as a New Yorker, you’ll be able to contribute as a Cool Cousin yourself. Central park is yuuuuge! And while there’s definitely something magical about stumbling upon the perfect picnic spot (and seemingly the only private nook in the entire city), it’s also great to know where you are at any given time. 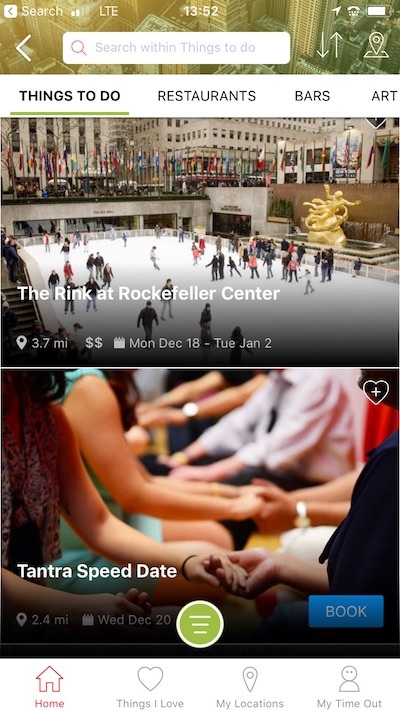 Enter the Central Park app. It has an audio guide, upcoming tours, and a tracking map with tidbits for each immediate landmark. But its biggest selling point just may be the “Photo Ops” tab: A comprehensive list of all the best spots to take the perfect “I’m living in New York!” selfie. With a new home comes a new commute. And when that new home is NYC, your daily ride is often accompanied by the frantic realization that you’ve literally just missed the train. 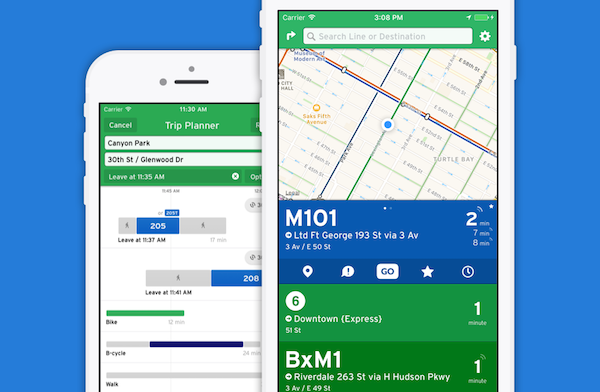 Transit, a sleek and functional transportation app that operates in over 135 cities worldwide, aims to eliminate those morning mishaps. Its “Go” feature nudges you when it’s time to leave, and tracks your motions to make sure you’re literally up to speed. 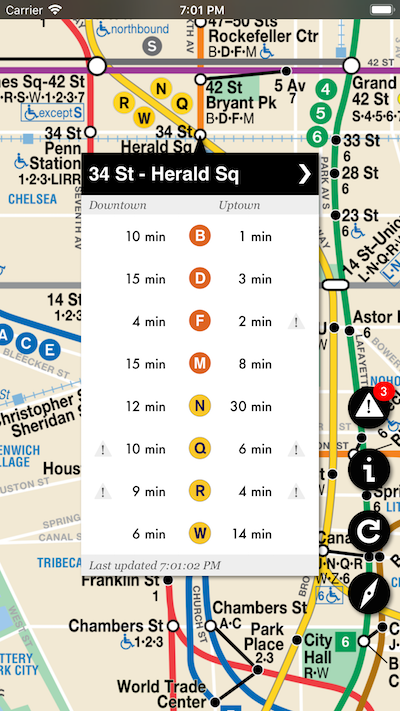 The app also piloted a crowdsourcing feature (currently operating in New York City’s MTA), which provides real-time information for other commuters down the line. The best way to befriend your brand-new neighbors? Make their own commutes a lot easier. Let’s face it: Google Maps can only get you so far. For those times you’re stuck underground or want an alternative route, there’s Underway. Made specifically with busy New Yorkers in mind, it’s an all-in-one commute compendium. When you tap the “Locate Me” button, a quick-view popover reveals the multiple stations closest to your location. There’s also real-time updates of allll the current situations affecting the NYC subway, so you can strategize accordingly. Commuting in NYC isn’t easy, but it doesn’t have to be impossible. 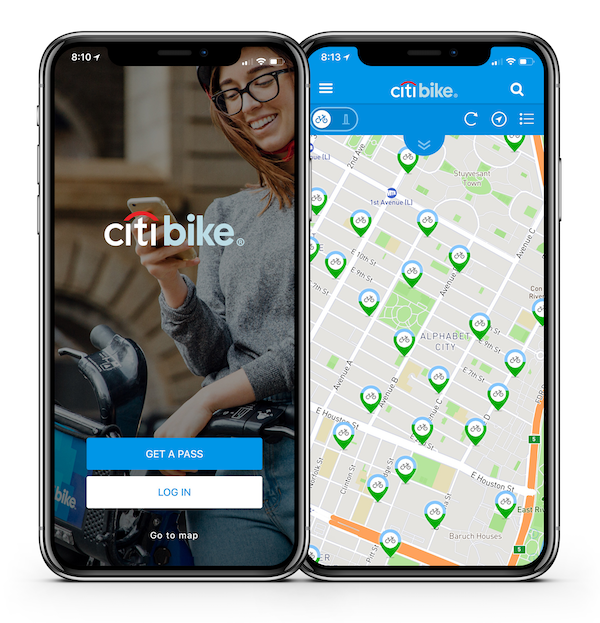 When you’re stuck between a rock (train delays) and a hard place (price surging), it’s time to hop on the next best thing: CitiBike. Get where you need to go, quickly, with the smart tech behind the city’s biggest two-wheeled convenience. You can purchase a day pass, find docks with availability, and even book your bike directly through the app. Like a “luxury version of the bus,” Via is a communal commuting experience. 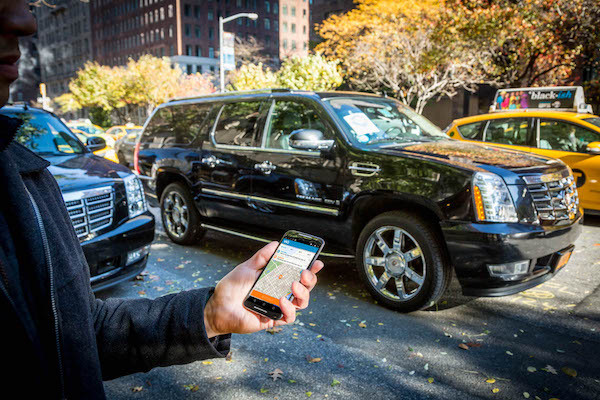 The app connects multiple passengers who are headed the same way so they can share a ride in one of Via’s sleek vehicles. Via’s mission is to re-engineer public transit, from a “regulated system of rigid routes and schedules to a fully dynamic, on-demand network.” And it sure beats a packed L train during 6 o’clock rush hour. 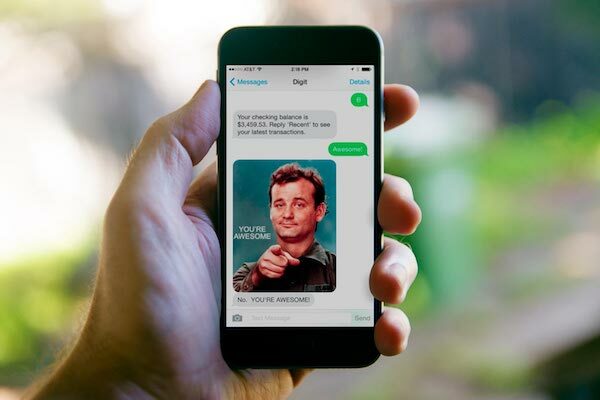 If “I have no idea where my money is going!” is practically your motto, then Digit is your wallet’s new lifesaver. 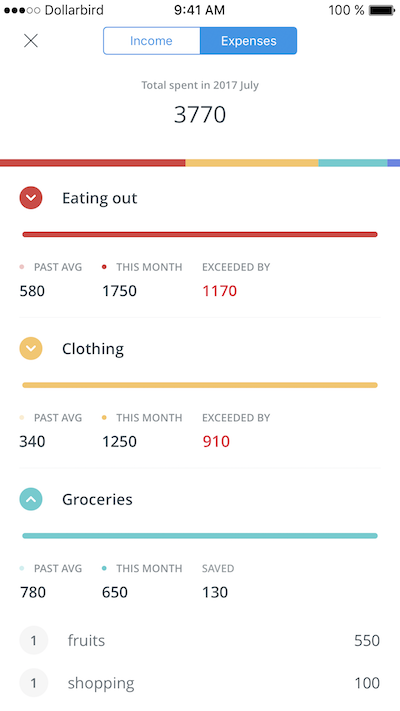 The smart app connects to your account to analyze your spending habits — then moves money from your checking account to your Digit account. The savings go into your Digit account, and you can withdraw whenever you need to. Like, y’know, to pay the broker’s fee on your dream NYC apartment. Another service that’s totally revolutionizing the money-saving game? Dollarbird, which turns the traditional finance format of spreadsheets on its head. Instead, you enter and categorize your income and purchases by date. So when rent-time rolls around, you won’t be totally in the dark about how much moolah you have left. NYC is amazing. It’s magical. It just might be the best city in the world. But sometimes, all that greatness can get… overwhelming. For those times, you have your secret out: Hopper. The app tracks billions of flights at once to land you the best airfare for that last-minute, there’s-too-much-snow!, “emergency” trip to Miami. The road to leases is paved with questionable brokers and wild goose commutes. 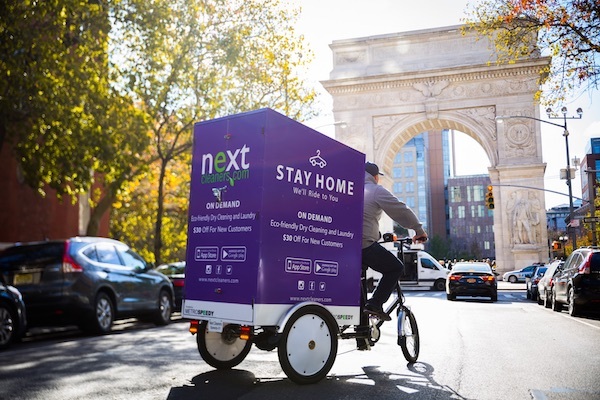 StreetEasy lives up to its name — by making moving much, well, easier. 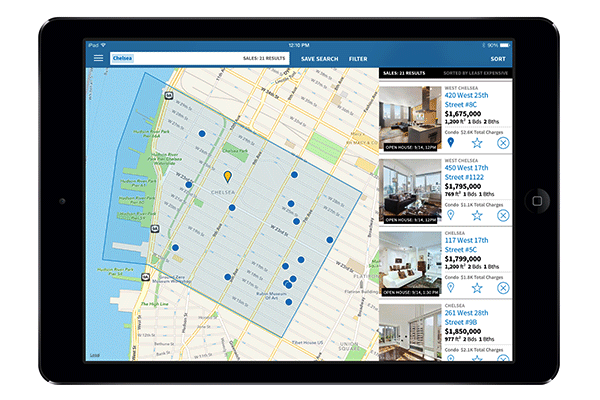 Peruse and filter pads by desired amenities, target price range, and neighborhood. 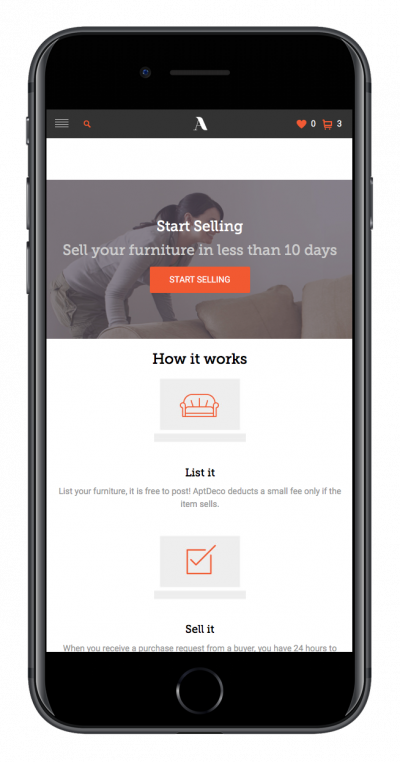 If you and your rescue pooch are looking into park-side accommodation, you can turn on alerts and get notified of relevant listing updates, in real time. All’s fair in love and war — but when it comes to splitting utilities, it’s safest to divide right down the middle. Thank your lucky stars for SplitWise, which takes the awkwardness out of reminding your roommate he kindly owes you $18.73 for the wifi, please and thank you. 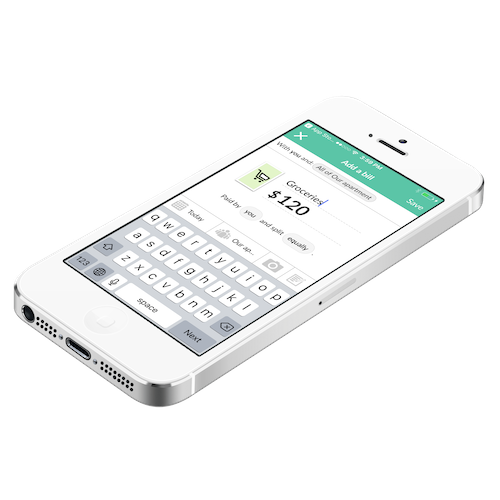 The app is designed to share bills and IOUs between housemates and friends. They send follow up email reminders, and also provide access to a running, visible tab. After you’ve landed that dream apartment, there’s just one tiny snag: You have to make 40x the monthly rent. Plus, you need an immaculate credit score. Otherwise, you need a fairy godmother of a guarantor. 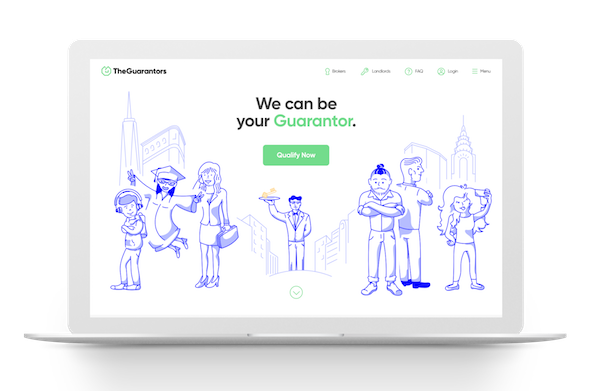 Meet TheGuarantors. If you earn 27 times the rent, they’ll insure you for your place. So whether you have savings overseas, are self-employed, or don’t quite make the credit cut, you can still qualify for the pad of your dreams. So you’ve decided the couch your apartment’s previous tenant left behind really doesn’t spark joy. But then again, neither would hauling it down three flights of stairs for a sketchy Craigslist buyer. For a minor percentage of the final selling price (which they’ll even help calculate! ), they’ll pick up that extra coffee table for you, un-assemble it if necessary, and then deliver it to the buyer. The only finger you’ll lift is when you give the movers a big thumbs up. Do you love pretty plants? Do you love convenience? And do you love being happy? 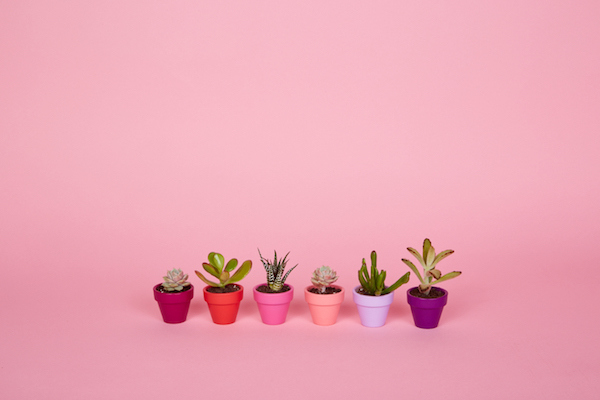 Then you’ll love The Sill, a direct-to-door plant delivery service whose motto is “plants make people happy.” The NY-founded shop specializes in plants of all shapes and sizes, with plenty of low-light, small-apartment-thriving varieties. Although they ship nationwide, us New Yorkers are lucky enough to have not one but two Sill storefronts to visit. They offer a constant rotation of plant workshops, so you can get your green thumb on — and blossom in any square footage. A little extra help for moving to New York is always welcome, and these apps and services go a long way. Of course, MakeSpace has your back, too. Whether you want to store your bulky suitcase, summer bike, or the out-of-season clothes you don’t need right now, schedule a MakeSpace pickup (your first pickup is free!) and leave the rest to us. We’ll grab everything from your home and transport it to our secure, temperature-controlled storage facility. And when you take your next trip and need your suitcase or warm-weather goods, just browse your convenient online photo catalog of your stuff, click the item’s photo, and we’ll deliver it back to you.